The Greenville Revitalization Corporation (GRC) announced today that it has received a grant of $5,700 from the TD Charitable Foundation, the charitable giving arm of TD Bank America’s Most Convenient Bank®, to be used for the Greenville Textile Heritage Park in the Monaghan Mill Community. Currently, GRC is completing Phase 1 of the park, consisting of a new parking lot and a children’s playground. The Park, located across from Monaghan Mill, will eventually feature a “Mill Walk”, a trail with alcoves dedicated to many of the former Greenville Textile Mills and an event center featuring memorabilia from the Textile Era with an open back porch for events. In addition, there will be walking trails, an outdoor classroom and other environmentally important features. The Park will be the only location in the County completely dedicated to preserving Greenville’s textile heritage and remembering life in the old mill villages. 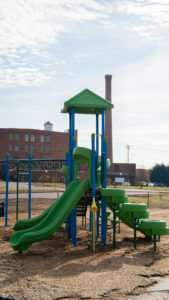 The Park is across Smythe St from the Lofts of Greenville in the Monaghan community. “We are excited to support this project to help better connect the community to its history and provide accessible trails for families to enjoy the outdoors,” said David Lominack, TD Market President, South Carolina. The Greenville Revitalization Corporation (GRC) is a South Carolina nonprofit corporation was established in 2012 as a 501(c)(3) tax-exempt organization by the Greenville County Redevelopment Authority with a mission of bringing economic opportunity back to the Textile Crescent of Greenville County. 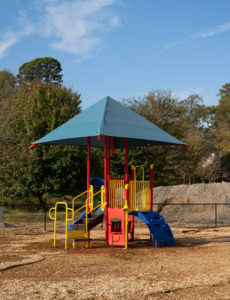 GRC currently operates totally with privately donated funds it has received from several foundations and organizations in the Greenville area as well as numerous individuals. 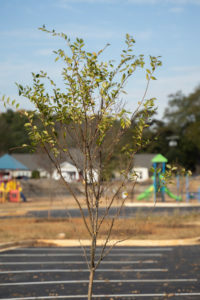 Trees provided by Trees Greenville. The TD Charitable Foundation is the charitable giving arm of TD Bank, America’s Most Convenient Bank®, one of the sixth largest commercial banking organizations in the United States. Since its inception in 2002, the Foundation has distributed nearly $199 million and more than 19,400 grants through donations to local nonprofits from Maine to Florida. More information on the TD Charitable Foundation, including the online grant application, is available at TDBank.com.